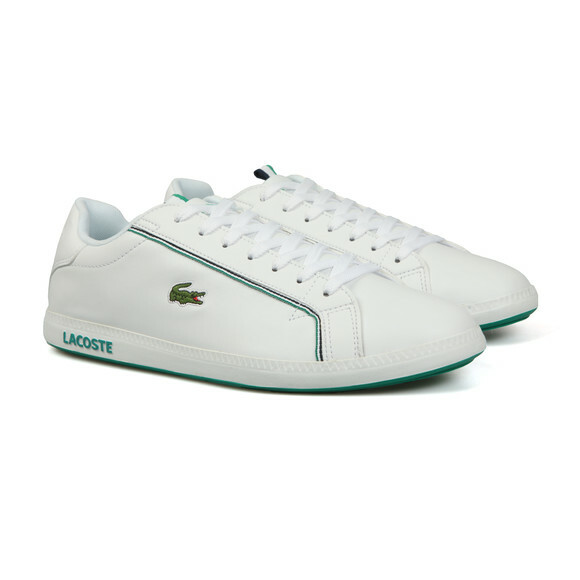 Lacoste Sport Graduate 119 SMA Trainer in White/Green. 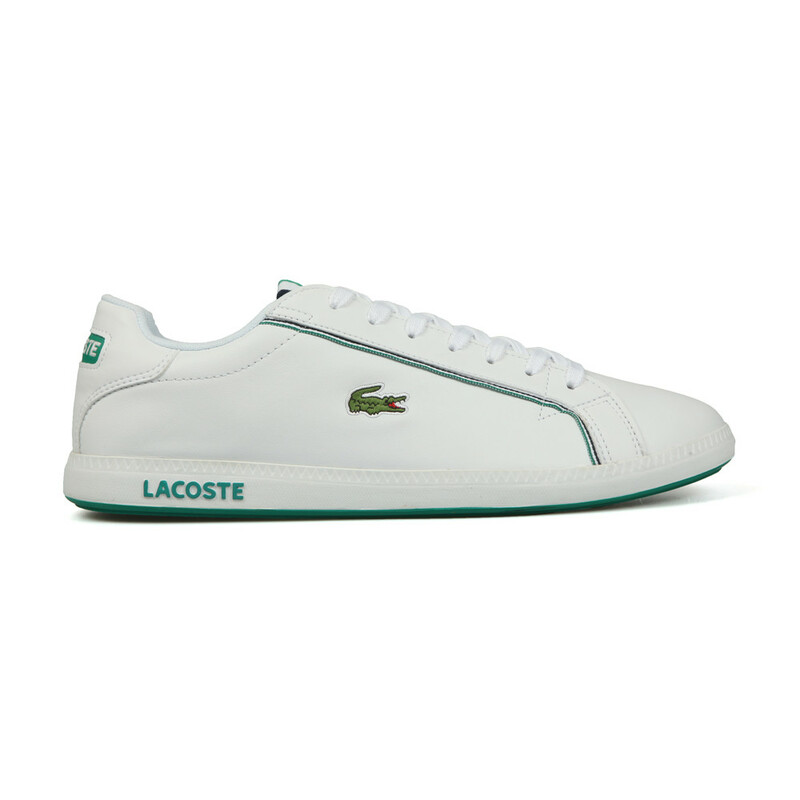 A classy low-profile trainer from Lacoste Sport. Given contrast colour branding on the tongue, heel and sole. 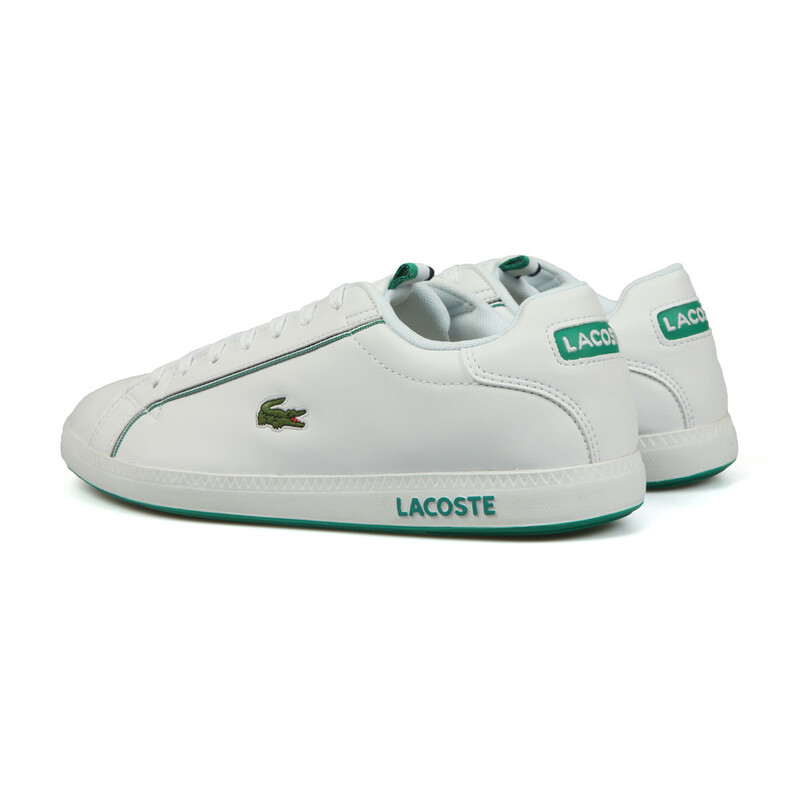 An embroidered Lacoste crocodile is added to the outside of the trainer whilst a silhouette following stripe detail finishes the trainer.